Our client was a bartender who had a dynamite idea for a product: The I’ve Got My Back Lotion Applicator. The prototype had construction issues, and he didn’t have a manufacturer. He had a partnership with his wife called Hadavision, LLC, and little business experience. He had reached a dead end working on a comprehensive business and marketing plan to attract needed investors. He was positioning his product to sell to tanning salons. Later, he formed a corporation that was owned by Hadavision called Epic Entities that investors would buy shares in, and requested branding for that also. We would work with him to develop a strategic business and marketing plan, provide the executive coaching required to bring the client up to speed in areas where he had little experience, and design and develop everything that was required for the branding, digital assets, print, video, and web media to get his product into the market. Took him through creation of Mission, Vision Statement, and SWOT (Strength, Weakness, Opportunities, Threats) Analysis. We helped him focus his goals and strategy. Expanded his envisioned targeted market base from just tanning salons to include end-users, different types of retailers including spas and tattoo parlors, private market including casinos, wholesalers, and a medical audience that included doctor’s offices and medical supply stores. Researched trends in each target market, did an analysis of each market, and developed a plan for how to target each market. Created a test marketing plan with follow-up. Helped him through the process of improving his product including approaching and finding a U.S manufacturer that could make the product at an affordable price. Helped him design an operational plan including work flow, supply chain management, marketing and sales, financial planning, and more. Worked with him to set up suppliers for the packaging and fulfillment services. Completed the business plan and marketing plan, from which the client raised the money necessary for the next phase of his operations in a very short period of time. 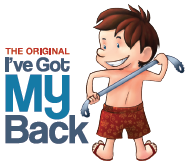 In terms of Branding, we provided materials for three things: Hadavision, LLC; Epic Entities, Inc.; and the product, IGMB – the I’ve Got My Back Lotion Applicator. Branding, including business cards, letterhead, envelopes. An attractive layout for the final Business Plan given to potential investors. The product logo, along with a character illustration to symbolize the product. The architectural drawings of the product that were required by the manufacturer. Illustrations to compliment the product use instructions. Labels, stickers, and inserts for the product packaging. Different package labels for the product to position it for the tattoo parlor market. A round, trifold instruction sheet to fit inside the packaging. Order forms, customer surveys, referral card. Signage for store and sale display. Consulted with the client on video production. Planned and provided professional photo shoot services for the photos that would be used in all forms of marketing media. Provided professional copy writing services for all media, including his various online social media and marketing venues, as well as updates to investors. We also worked with various vendors that provided manufacturing, fulfillment, and online services and provided whatever was needed in terms of information, digital assets, and branding materials.